Are Instagram ads more valuable than Facebook ads? 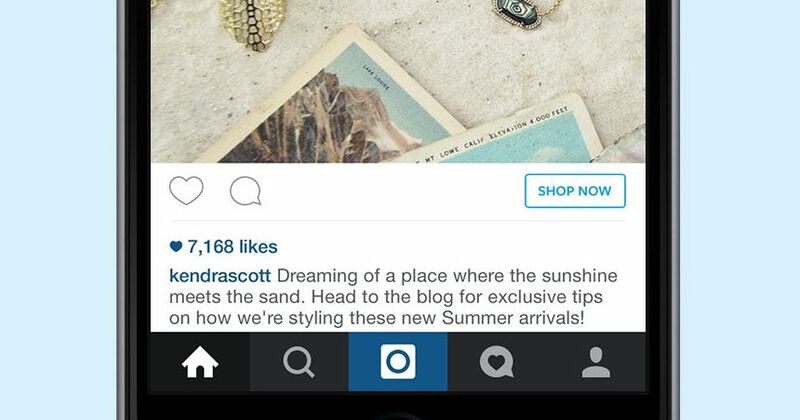 Do Instagram ads yield better conversion rate? A few months ago we came across an interesting article that was worth a quick read: ‘Are Instagram ads more worthy than Facebook ads?’. In the face of rising Instagram ads and upcoming holiday season, we thought it might be a good time to explore more on this topic. With more and more customers spending increasing amount of time on their mobiles phones, big brands such as J.Crew are embracing Instagram’s new features such as Buy Buttons. At the same time, the increasing popularity of the platform and its young user demographics leave many brands pondering whether Instagram ads are worth more investment. Better engagement and better conversion equate higher prices. Instagram almost certainly has higher engagement rate than Facebook. The ads are said to get more average click-through rates (read more here). Meanwhile, higher conversions, naturally, means higher ad prices for brands and advertisers. Younger users, strong user engagement and a larger ad space (as Instagram ads occupy the whole screen) are all good incentives. Yet, we face some critical questions: are the rates sustainable? What are the risks of users running into ad fatigue like they did on Facebook? Despite that Instagram ads’ conversion rate may decline as the novelty will soon wear, it will still likely to remain higher than Facebook’s. But that doesn’t equate the decline in Facebook ads. Yes, ads on Instagram may seem more somewhat more valuable. Nonetheless, resourceful brands are opting for a synergy of both, or even multiple platforms to maximise their CTAs. According to Adweek, Macy’s are leveraging on social data available by merging Instagram and Facebook ads with video story-showing this Christmas season. Macy’s strategically divided its 3 minute-video promo into two parts on two separate platforms: the first part consisting of short video clips using Instagram’s Marquee is shown to a large audience. Followingly they re-target that ‘customer who engaged with that first ad unit with another element of the story later in the day’ on Facebook. Similarly, Target, another giant US retailer, is also utilising the synergy of multiple social platforms – Instagram, Snapchat and Facebook – in a single holiday campaign. From a geofilter on Snapchat to Facebook’s Canvas eCommerce ads and Instagram’s takeover style ad unit, we are seeing large retailers sprucing up their advertising strategies to target and retarget the key audience on diverse social media platforms. That leads up to one possible scenario, resourceful brands will have access to more insightful consumer data (as Instagram and Facebook will benefit from one another’s rich user interest information). Just like what those two American retailers have done, the key is to have a consistent and integrated solution to adjust content from one platform to another, with those who are most likely to engage (find out more here). So are Instagram ads more valuable than Facebook’s? Yes, they may yield higher click through rate, which may lead to better sales conversion. But a more holistic advertising picture is required to maximise a brand’s social media ROI. A better understanding of the strengths and weaknesses of each platform allows a tailored and streamlined advertising strategy. So what’s the best formula of the social media ad combo? Test and learn. There’s enough space for experimentation.